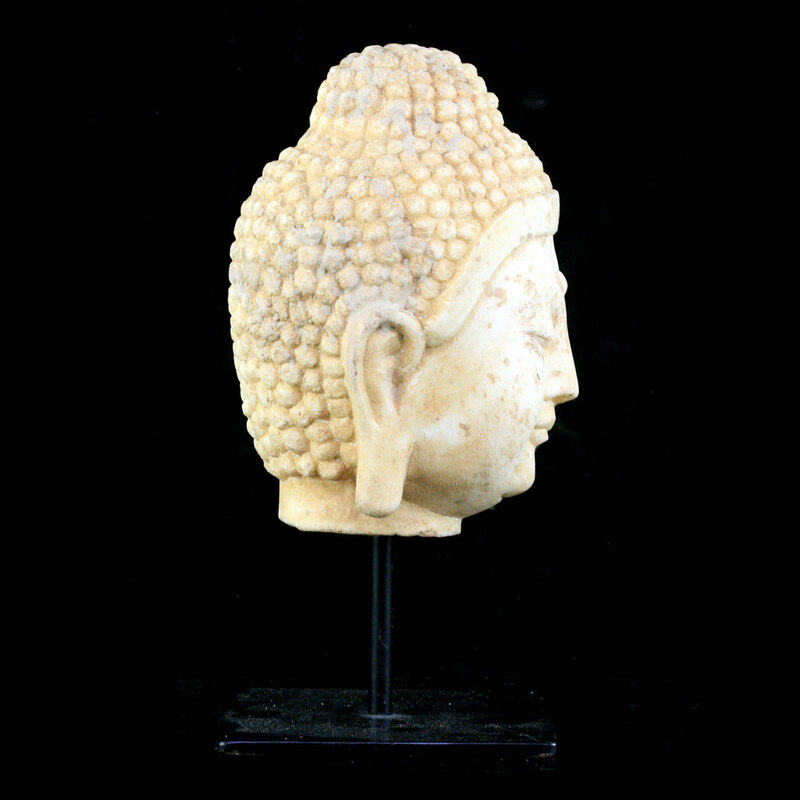 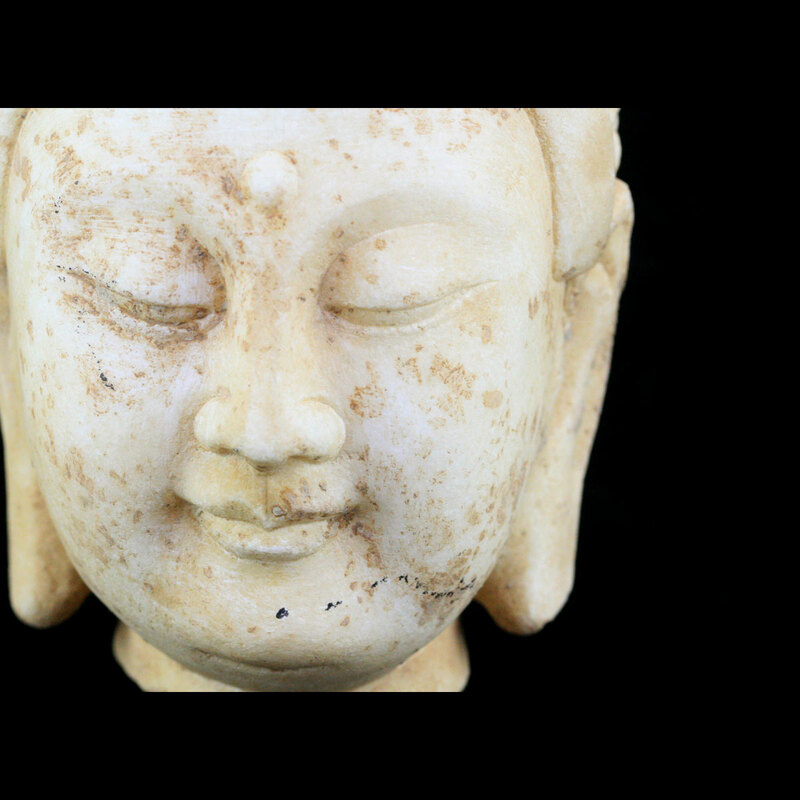 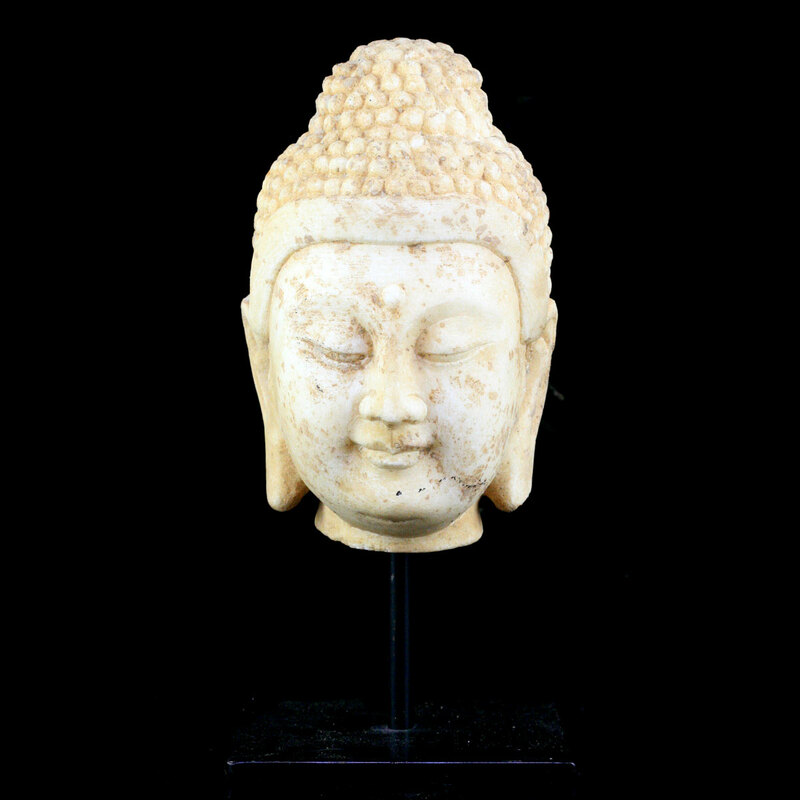 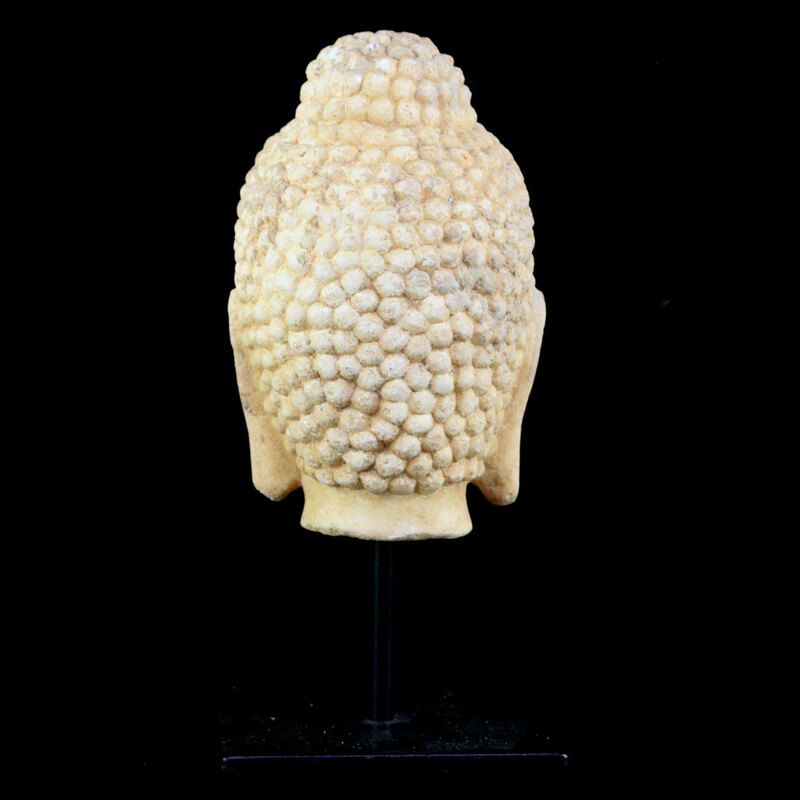 A Ming to Qing marble head of Buddha. 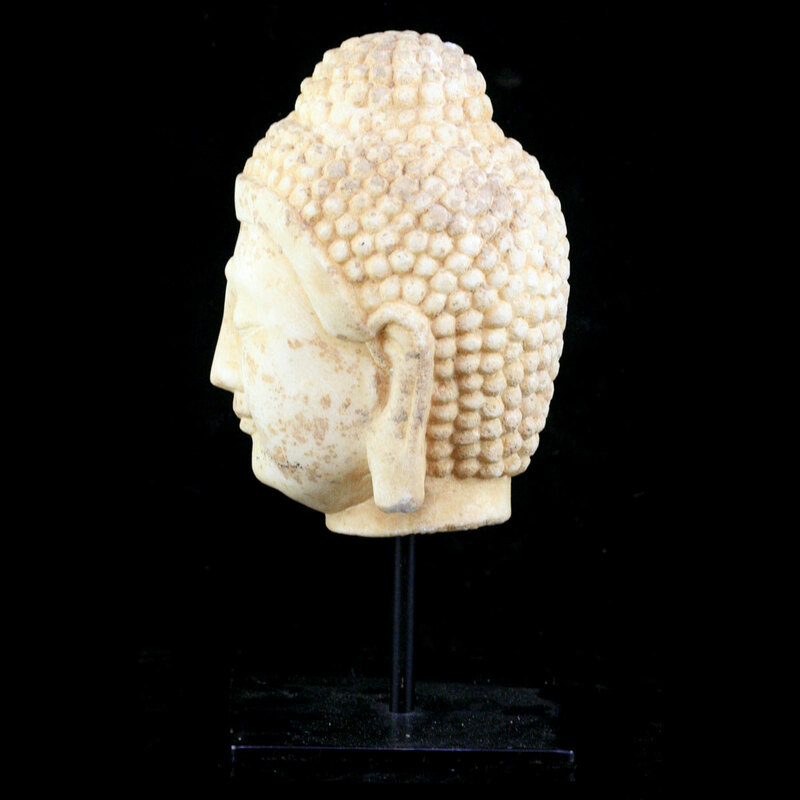 ancient loss evident. 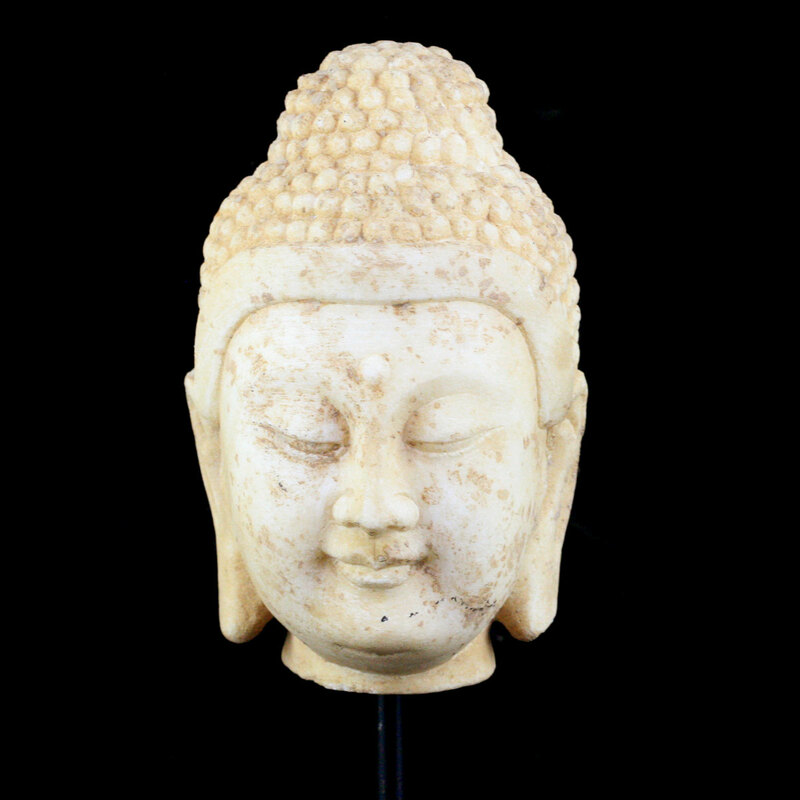 Presented on a steel display mount.